Summer... the perfect mix of rest and fun. Happy July peeps! This is the best month of the year in my opinion. Schools aren't closing or opening, the days are long and best seat isn't in the house... it's at the pool or beach. Anywhere near the water. My birthday rolls in this time of the year and the 4th of July will always, always be my favorite holiday. The temps are perfect for day long water fun. A few years ago, when we lived Hawaii it was like July year round. I loved everything about that. The beaches were minutes away and the pools were decked resort style, bikini's and flip flops on the daily. But it's not what you have that makes you happy, it's what you make of what you have that makes you happy. And as of now, we're totally between homes, picking outfits out of suitcases. Friends and family have been incredibly generous to open their homes for us to stay with them during this month long transition. Because of that we're able to save a little and bounce around water parks, pools and beaches. My oldest, Lance, is already enjoying the beach, he's rolling 'round on his longboard and most likely wiping out on his skim board. My youngest, is proving himself a fish for yet another summer and as many things as he fights, I'm thankful he doesn't fight that life jacket... kid has no fear! Last week I mentioned not getting in as many workouts per week as the usual. I definitely chose to spend my time a little differently these past two weeks. We took the time that would have been spent 'separately' at the gym and instead, went on walks together. Many walks and a few bike rides. PS... bending over to push a tricycle block after block will seriously work your glutes, hams and quads! So, I guess Google Reader is no longer and I'm curious to see what happens with GFC. I get to your blogs in so many different ways, and one was Google Reader. This weekend I tried out Feedly and I like it! It took 5 seconds to transfer over blogs from Google Reader (I feel like I was the last person to do that?!) Anyways, I'm still a huge fan of Bloglovin but I think I'll be using Feedly a lot too! Hope you met each of the bloggers behind last weeks giveaway! I'll be in contact with the winner! Are your toes in the water? Big plans for the 4th?? i agree that july is the best month! and I think a lot of bloggers spend much less time blogging and reading in the summer! Happy 4th to you!! 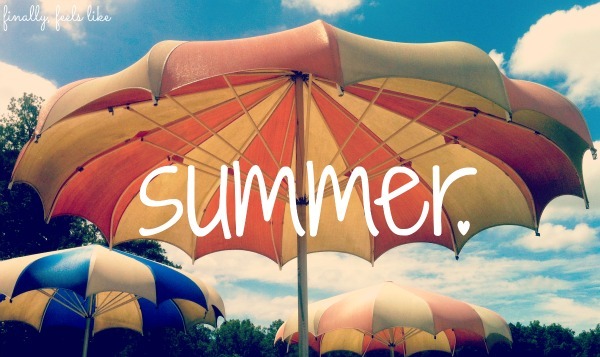 Looks like your enjoying the summer so far. It looks like you were still able to have a good weekend, despite the transition. I absolutely LOVE water parks, I turn in to a kid again when I go. Great blog! Stopping by from THE Collective Social Blog Hop to say hi. Thank you for linking up. Have a fabulous day! 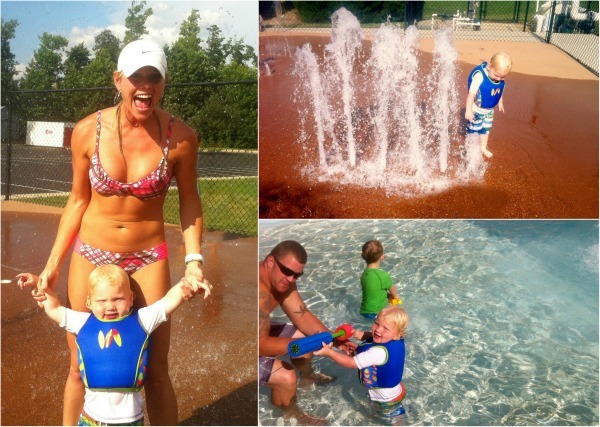 Sounds like you are having a great summer already- too busy to blog means too busy having fun! Enjoy!! For not working out the past 2 weeks, you still look AMAZING! Glad you're enjoying your transition. I admit, I am not a water fan. I got my scuba certification partly to get over my fear of water ;) And now that we're both working full time and moving into the new house, we don't have a lot of spare time to spend splashing around :( Although, one of the best things to keep the kids busy while we do yard work is to just give them plastic bowls full of water - they splash and pour for hours :) Hope your move is going well!!! I went through the same thing. We moved a few months ago and I got a little disconnected from blogging. Trying to get back there. As for July 1st, I've got a goal! We have two big trips at the end of the month so I'm vowing to hit the gym hard. And be more strict with my diet! Your pictures are beautiful and you definitely don't look like you're missing a workout! I'm planning to hit the beach with the fam! your pix look like so much fun! Please do share what you do to get your abs looking like that!! You look great! The waterpark does look super fun! SO glad you had fun! Love those pics - looks so relaxing and cool!